Acuity Agriculture’s advanced wireless sensor technology collects field condition data you can access anytime from a dashboard on your device to better understand the needs of your crop. Produce Alliance recently held a Q&A with co-founders, Steve Dodge and Jon Zhang, about how they started, what they’re doing right now, and where they see the company going. How does this technology start/come to fruition? We designed and built hardware to collect data and communicate as a team across all areas of farming operations including; soil moisture, dendrometers, water pressure, salinity, climate, inventory, and more. To visualize this data, we created a digital dashboard interface that growers can access from any device. Where does Acuity Agriculture see this level of technology changing the industry and best practices? The Acuity Agriculture system allows growers to save time by discarding an outdated, manual data collection process by replacing it with a flexible, robust, real-time system. Growers can now access their data anytime, anywhere through our digital interface. 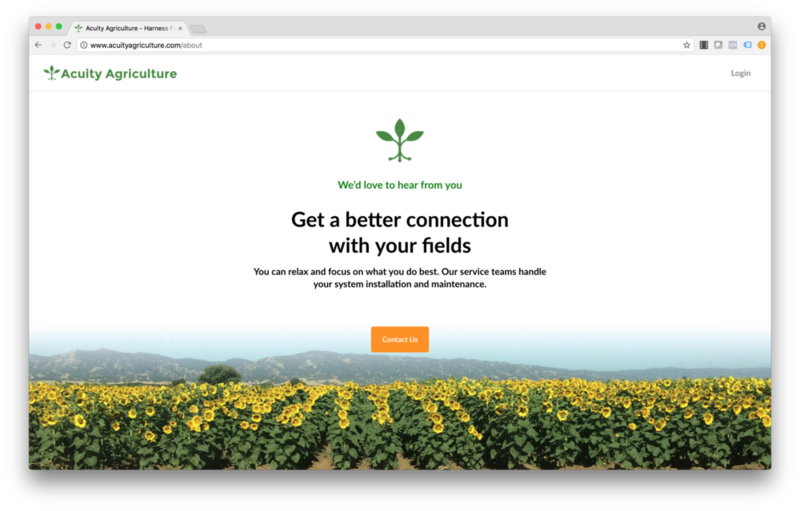 They can review crop history, operations history, communicate in one place, and make more accurate decisions. We’re in the process of designing new data visualization features on our dashboard and hardware to compliment our current platform. Our goal is to continue empowering growers by creating systems that can further optimize operational workflow and resources. We’re also conscious of our ability to impact the environment through farming technology. If you're interested in learning more about Acuity Agriculture, please contact us. We'd love to hear from you.